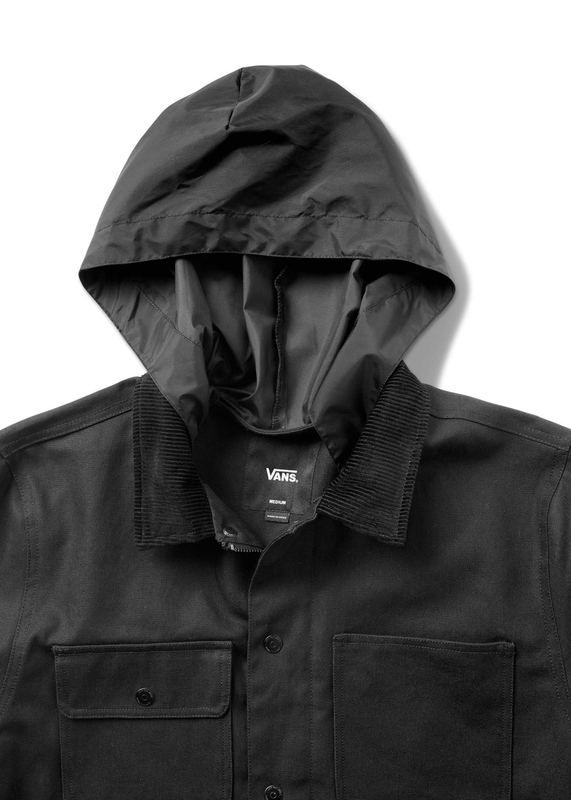 Vans New Drill Chore Coat WN. 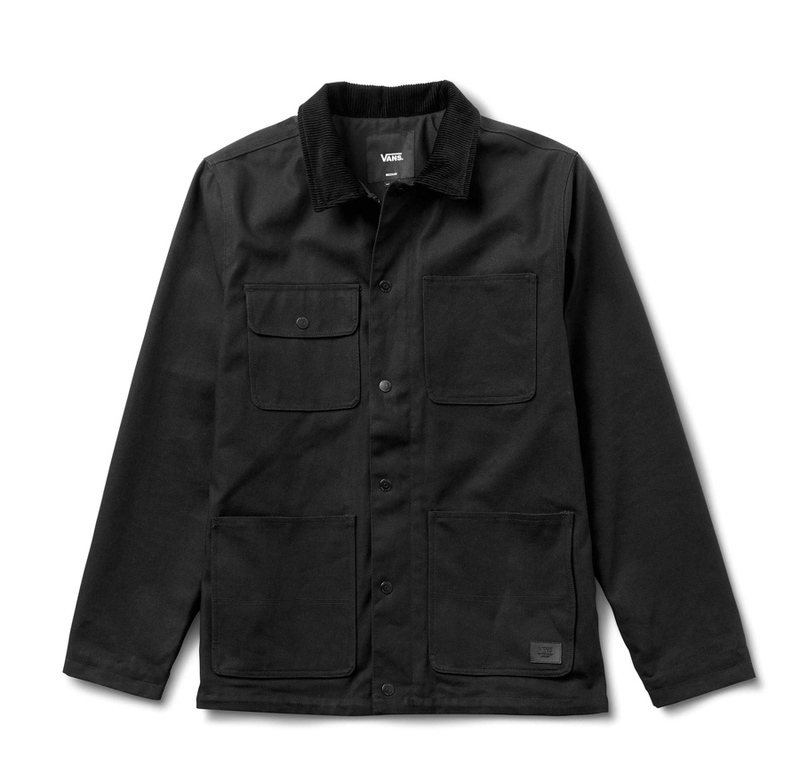 Pro-built for skateboarding, the Drill Chore Coat WN1 is upgraded with Storm Cotton™ to repel water and Teflon™ treated to protect fabric and keep you dry and highlights a patent-pending fully functional hood which can be stashed away into an invisible hidden compartment at the collar. A moisture wicking interior lining complements the technical attributes to keep you fresh and comfortable. The jacket’s design is finished off with a contrast corduroy collar, dual side entry lower pockets, and low-profile snaps to protect against impact during slams. Innovative in design and driven by its functionality for skateboarding, the Vans Drill Chore Coat WN1 is built to withstand the abuse that other coats can’t. 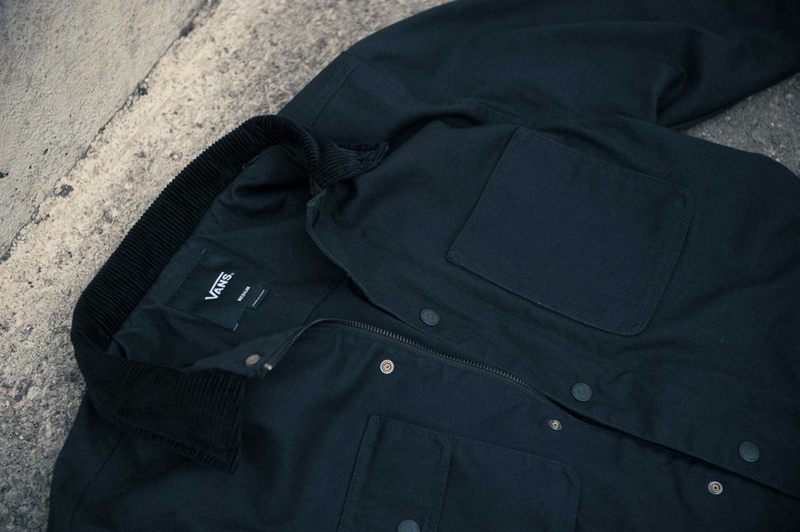 The new Vans Drill Chore Coat WN1 is available now at select Vans Pro Skate retailers.